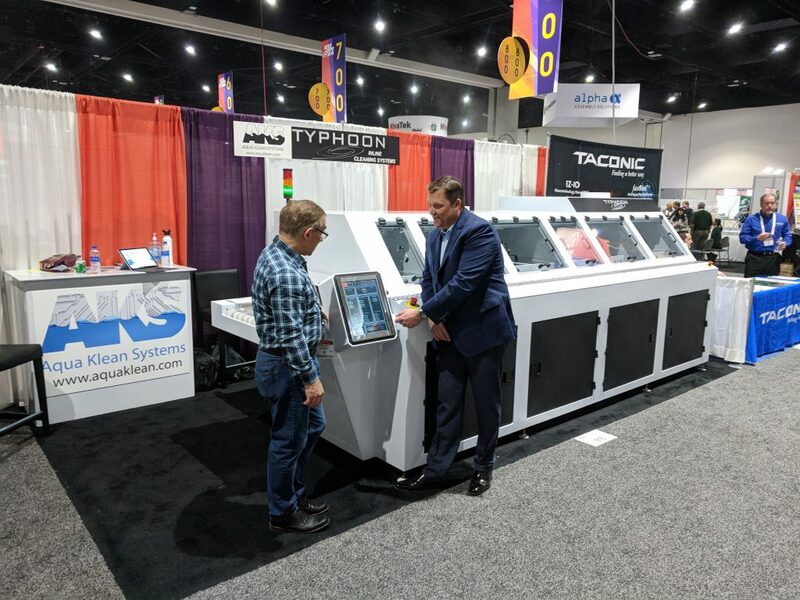 ANAHEIM, CA — September 2017 — Aqua Klean Systems, a leading provider of advanced PCB cleaning equipment, today announced that CONCISYS has selected its award-winning Typhoon T-8 Chemistry Zero-Discharge Cleaner. With headquarters in San Diego, California, CONCISYS is the area’s premier SMT EMS provider. CONCISYS has an existing T-18 Water Soluble Inline cleaner and Aqua Klean water filtration system. Its new T-8 Chemistry Cleaner enables the company to efficiently clean RMA, no-clean and water soluble (OA) fluxes. It incorporates an adjustable chemical injection pump to assist in maintaining a stable chemical wash concentration. The T-8 integrates a 15 horsepower wash pump with a combination of flooding and high-pressure wash for optimum impingement cleaning of PCBs. The dynamic air blow-off design allows for a water free zero-discharge chemical isolation. The T-8 also features an industrial touch screen interface for simple process control and the industry’s safest drop-in immersion heater. Since 2000, CONCISYS has delivered quality, high-tech electronic assemblies to customers in a wide variety of industries that include; telecommunications, networking, consumer, industrial, defense and computer peripherals and systems. The company offers state-of-the-art solutions to OEMs that require a reliable partner for the manufacture and repair of their products. For more information, visit www.concisys.com. Aqua Klean Systems has built an exceptional relationship with its customers by providing innovative products and outstanding customer service. 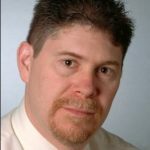 The team takes pride in working with customers to solve any process issues they encounter now, or into the foreseeable future. 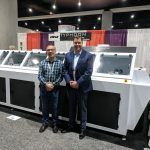 Aqua Klean Systems, a leading provider of advanced PCB cleaning equipment, today announced that Amptech, Inc. has purchased a purchased a T-8 Chemistry Cleaner, T-12 Water Soluble Cleaner, and a Closed-Loop DI Recirculating System. Amptech is headquartered in Manistee, Michigan with plant operations in Michigan and Pennsylvania. An AS9100:2009C & ISO 9001:2008 registered company, Amptech has been a leader in electronic assembly manufacturing since 1980. The company specializes in customer support from the beginning concepts of an idea to material procurement, circuit board assembly, wire harness build, housing / box assembly, testing to packaging and shipment to the customer. Amptech’s new T-8 Chemistry Cleaner enables the company to efficiently clean RMA, no-clean and water soluble (OA) fluxes. The T-8 integrates a 15 horsepower wash pump with a combination of flooding and high-pressure wash for optimum impingement cleaning of PCBs. The dynamic air blow-off design allows for a water free zero-discharge chemical isolation. 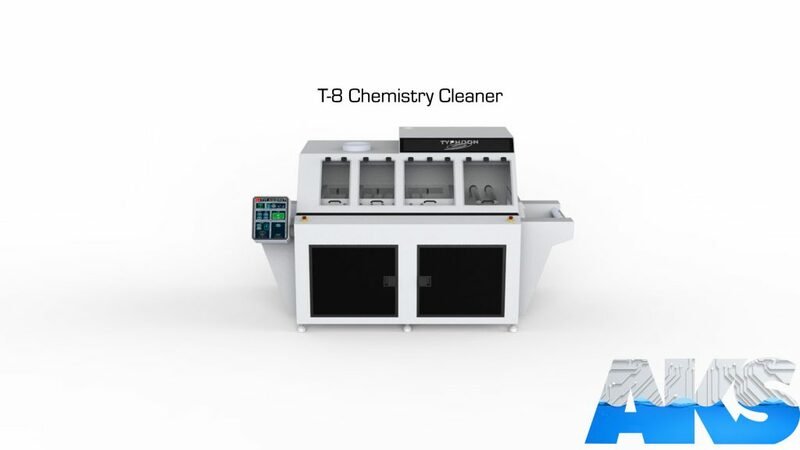 Amptech also ordered a Typhoon T-12 Water Soluble Cleaner with a 24″ wide belt, the industry’s safest smart heater, quick adjustable pressure valves, easy to access front valves and innovative touchscreen software interface. Equipped with a 15 HP wash and rinse pump, and two 15 HP turbine blowers, the Typhoon T12’s performance is unmatched. The new DI Recirculating System will provide Amptech with cost savings and drastically reduce its water consumption. Aqua Klean DI Recirculating Systems are built with quality and durability in mind here in the USA. Every unit is quality tested in the Aqua Klean facility to ensure full and proper operation in the field. Only high quality filters, pumps, valves, and electrical components are assembled into these units. Amptech strives to meet its customers’ needs by providing quality services and products. 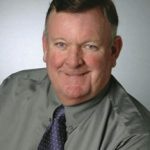 For more information about Amptech, visit www.amptechinc.com. printed circuit board assemblies (PCBAs) for SMT and thru hole, RoHS and non-RoHS manufacturing, IPC-A-610 II & III manufacturing standards, harness and cable assemblies, and more. EMS Solutions currently runs four SMT lines. The company’s equipment includes state-of-the-art, high-speed, efficient lines that provide consistent high quality products. All SMT lines are supported by AOI equipment, automated thru hole placement technology, and all other required support equipment. The Typhoon T-12 Water Soluble Cleaner comes standard with a 24″ wide belt, the industry’s safest smart heater, quick adjustable pressure valves, easy to access front valves and an innovative touchscreen software interface. Equipped with a 15 HP wash and rinse pump, and two 15 HP turbine blowers, the Typhoon T12’s performance is unmatched. The new DI Recirculating System provides cost savings and drastically reduces water consumption. Aqua Klean DI Recirculating Systems are built with quality and durability in mind here in the USA. Every unit is quality tested in the Aqua Klean facility to ensure full and proper operation in the field. Only high quality filters, pumps, valves, and electrical components are assembled into these units. 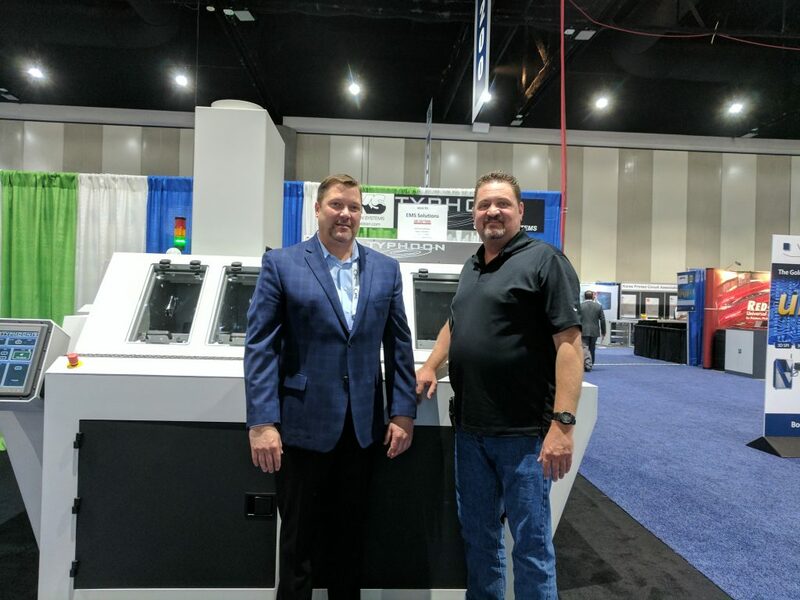 ANAHEIM CA — January 2016 — Aqua Klean Systems, a leading provider of advanced PCB cleaning equipment, today announced the company’s 20th year in business. Over the last 20 years, Aqua Klean has consistently expanded as an international company serving its customers throughout the world. Aqua Klean Systems has been an innovative leader in electronics manufacturing equipment since 1996. The company began with the design and manufacturing of zero-discharge water recycling systems. Shortly thereafter, Aqua Klean Systems began refurbishing, servicing and distributing used inline cleaners from all manufacturers. 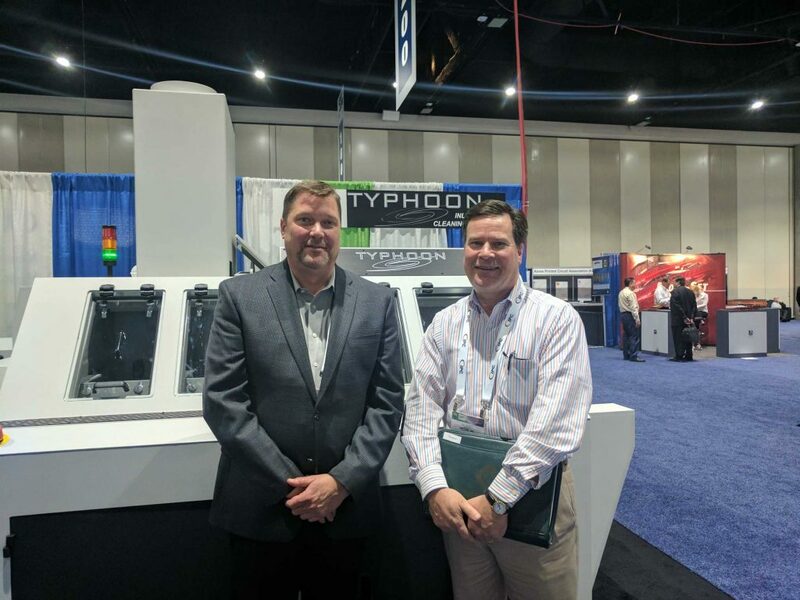 The experience Aqua Klean’s engineers gained by working with multiple brands of PCB cleaners along with customer concerns, allowed Aqua Klean to design The Typhoon fleet for the ever-evolving industry standards. 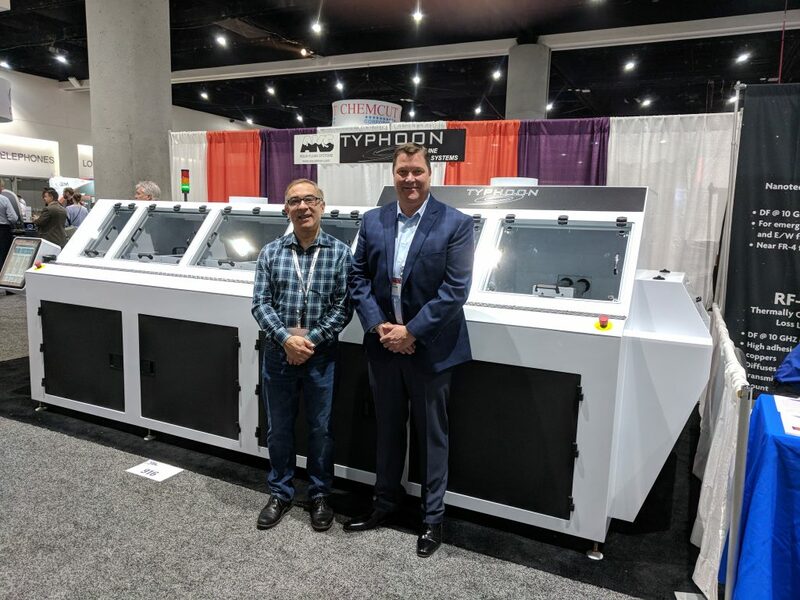 The Typhoon was built to remove inadequacies in previous cleaning procedures and to revolutionize the PCB cleaning industry. 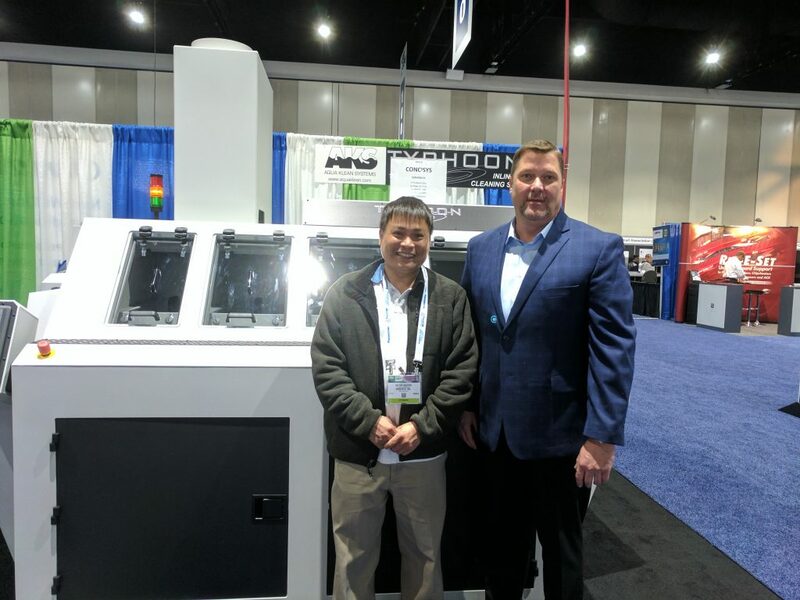 ANAHEIM CA — February 2015 — Aqua Klean Systems, a leading provider of advanced PCB cleaning equipment, announces that it has been awarded a 2015 NPI Award in the category of Cleaning Equipment for its Typhoon T-8 Chemistry Zero-Discharge Cleaner. 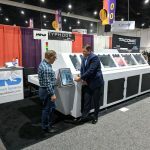 The award was presented to the company during a Tuesday, Feb. 24, 2015 ceremony that took place at the San Diego Convention Center during the IPC APEX EXPO. Standard features of the T-8 include: a standard 24″ usable belt, 15 horsepower wash pump, 10 horsepower chemical isolation turbine blower with top and bottom air knives. The T-8 also features an industrial touch screen interface for simple process control. The T-8 is equipped with the industry’s safest drop-in immersion heater, quick adjustable pressure valves, stainless steel plumbing and front maintenance doors for easy-to-access components.